When planning your perfect bed, you care about all the details. But what about the smallest detail—a pillow protector? Not using a pillow protector can expose sleepers to excess dirt, dust mites, allergens, liquid spills, or everyday body fluids like saliva or sweat. Keeping your pillow unsoiled is as simple as putting on a pillow protector as a second level of defense beneath your pillowcase. Today we’re going to be reviewing the Slumber Cloud Nacreous Pillow Cover. This protector is designed to be a cooling pillow cover for better sleep. But will it really make that big of a difference? This super-cooling mattress pad is ideal for sleepers who run hot! Save $15 on your order by using the code "SLEEPOPOLIS"
Find out now as we dive into the Slumber Cloud Nacreous pillow cover review. Can’t stand the wait? 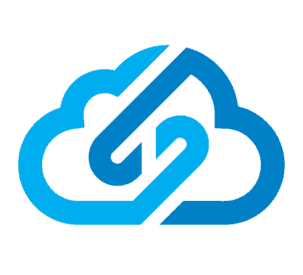 Click here to jump to the summary! The Nacreous pillow cover is made of 50% viscose and 50% cotton. The viscose in the cover is treated with Outlast, which is a cooling technology integrated into the fibers. The purpose of Outlast is to store heat and dissipate as needed to ensure sleepers are never too hot or too cold. This pillow protector comes with a white zippered closure and is hypoallergenic as well as machine washable. FAQ: What’s the best pillow? It is available in Standard (21” x 27”), Queen (21” x 31”), and King (21” x 37”). In addition, the Nacreous pillow covers are sold in a pack of two. When shopping for a quality pillow cover, there are a few factors to consider. As a good rule, consider the purpose for the purchase. A good pillow protector has two very important jobs. Protect the pillow – This includes protection from dirt, dust mites, allergens, liquid and particle spills, or other irritants. Protect without knowledge that it’s there – In other words, a quality pillow protector will not alter the feel of the pillow it contains, even with the addition of a pillow case. With that in mind, a good pillow cover may enhance the pillow’s cooling or breathability. But a soft pillow should still be soft and a firm pillow should still feel firm. 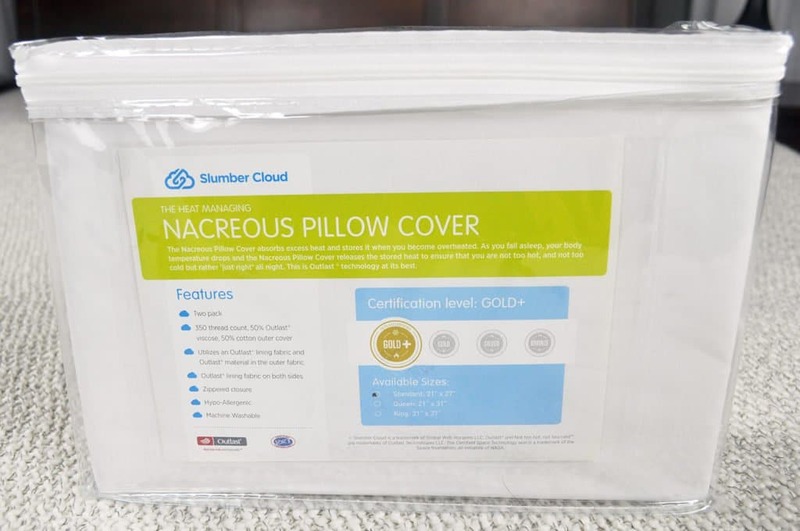 While it may be a deal breaker for some sleepers, the Slumber Cloud Nacreous pillow protector is actually not waterproof. This type of pillow protector is mainly intended to protect from particle irritants like dirt, dust, pet hair, and other allergens. The Nacreous pillow cover was designed to protect from dirt, dust, allergens, or other irritants in the air and on surface. The blend of viscose and cotton creates a hypoallergenic surface that protects the pillow. 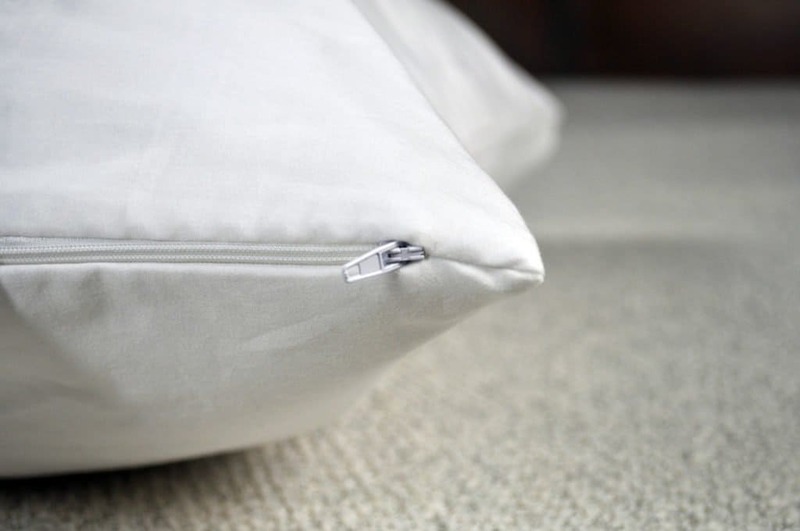 In addition, the zipper closure provides a snug fit onto the pillow and forms a sealed encasement. During my sleep tests, I found this pillow cover to be very comfortable and quiet. Some waterproof protectors can have a bit of a scratchy sound to them, but this pillow cover is a blend of cotton and viscose, so there are no waterproof properties. If you’re looking for a waterproof protector, this can be a real problem; however, for sleepers who mainly want a quiet protector and do not need liquid protection, this is a great option. Regarding cooling, this pillow cover has great properties for cooling. The integration of the Outlast Technology helps to limit heat retention and is quite breathable. GUIDE: Looking for more cooling? Check out this piece for the Best Cooling Mattress. Should you buy the Slumber Cloud Nacreous pillow cover? Are looking for great cooling – This is one of the coolest pillow covers that I’ve tested to date. The Nacreous pillow cover is integrated with Outlast heat management technology into the fabric fibers, which allows the cover to absorb, store, and release excess heat. This makes it an excellent option for sleepers who sleep warm as well as sleepers who may sleep cool, releasing and storing heat as necessary. Do not need waterproof protection – The Nacreous pillow cover is not waterproof, but does provide great protection from particles, dirt, dust, and other allergens. 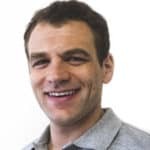 This doesn’t protect from issues like night sweats, but the goal is that the Outlast temperature regulation would help contain the symptoms and limit sweats versus provide waterproof protection from it. I am personally not a night sweater, so I cannot really comment on how effective this is. Want a hypoallergenic protector – For allergy sufferers, this pillow protector is a great option. It is hypoallergenic and limits exposure to allergens through the use of the full zipper encasement. Want a quiet protector – The combination of viscose and cotton creates a soft and quiet protector. In addition, it is thin, and didn’t noticeably affect the feel of the pillow. If anything, the softness added a little something extra. For additional information on the Slumber Cloud Nacreous pillow protector, read more at slumbercloud.com. The Slumber Cloud Nacreous pillow protector is a great option for soft and quiet allergy defense. It is a blend of 50% viscose, 50% cotton softness, and excellent cooling. 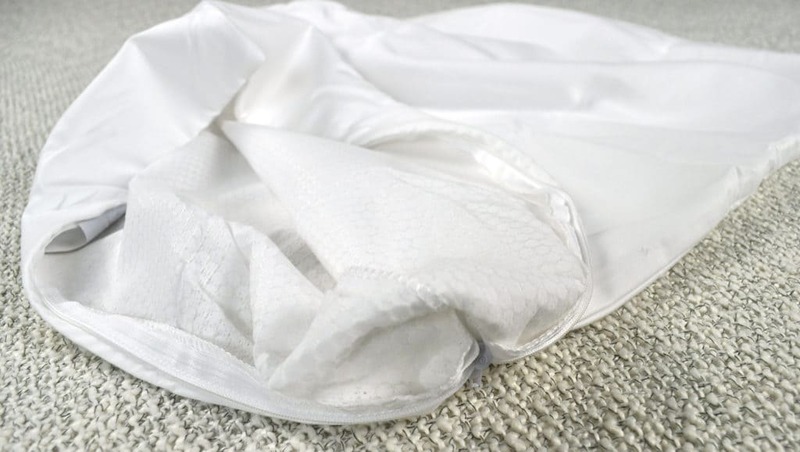 In addition, it is also integrated with Outlast heat management ingrained in the fiber, which absorbs, stores, and releases excess heat to help regulate the temperature as sleepers rest.